An investment in KBA lasts a lifetime. At Kellman Brown Academy, we are committed to making our school available to a diverse community of parents and children. Therefore, a family’s need for tuition assistance does not affect the admission process. The school proudly offers a need-based tuition assistance program in order to provide families the means to afford a Kellman Brown education. Please fill out the FACTS Payment Plans and Grant & Aid Financial Needs Assessment which will assist in making objective decisions about tuition assistance. If you are applying for tuition assistance, please be aware that your 2014-2015 financial assistance username and password is no longer valid. If you have an existing Tuition Payment Plan through FACTS and have already created a user account, please select “Sign In to Manage your FACTS Account” and use your existing username and password. If you are a New FACTS User please select “Create a FACTS Account”. The Community Service Scholarship is for new KBA Families, with students entering grades K-5, making the commitment to participate in 75 hours of Community Service. Please click here for the application form. Rabbi Isaac Furman was the founding Head of School of Harry B. Kellman Academy. He was a champion of strong academic achievement with Jewish values at the core.  The Rabbi Isaac Furman Scholars Program is a merit scholarship for students entering 6th grade. Eligibility will be based on: outstanding academic achievement and character that exemplifies the KBA values of kavod, menschlichkeit and tikkum olam. Please click here for the application form.